Udaipur is a visual treat, its shimmering lakes against the backdrop of Aravali Hills, formidable palaces, enticing structures, fascinating ambience makes the city captivating destination for domestic as well as international tourists. Infact, Rajasthan is amongst the top 5 visited destinations by foreign tourists in India. Let me take you through a visual journey………..
Lake Pichola is the oldest and one of the largest lakes of Udaipur built by Pichhu Banjara during the ruling period of Maharana Lakha in 1362. City Palace stands impressively on the banks on Lake Pichola. The Palace is an architectural blend of Medieval, European and Chinese styles. It actually comprises of 11 palaces, there have been additions to the original palace with change in the rulers. Main entrance is through the triple-arched gate-The tripolia, built in 1725. From the main gate you will be directed to a series of courtyards, terraces, retail stores within the premises, corridors and myriad gardens. In 1974, a part of the City Palace and the ‘Zenana Mahal’ (Ladies Chamber) have been transformed into a museum, which is open for public. Infact, only the parts of the Palace, Jag Mandir, Museum are open to public. Usually there is heavy tourist influx at the City Palace, there are ticket charges for entry to the palace, then the boat ride (INR 400 during the day; INR 650 in the evening), the Jag Mandir and the museum too. Jag Mandir, is not literally a temple, infact it houses finest restaurant inside offering best of the cuisines. 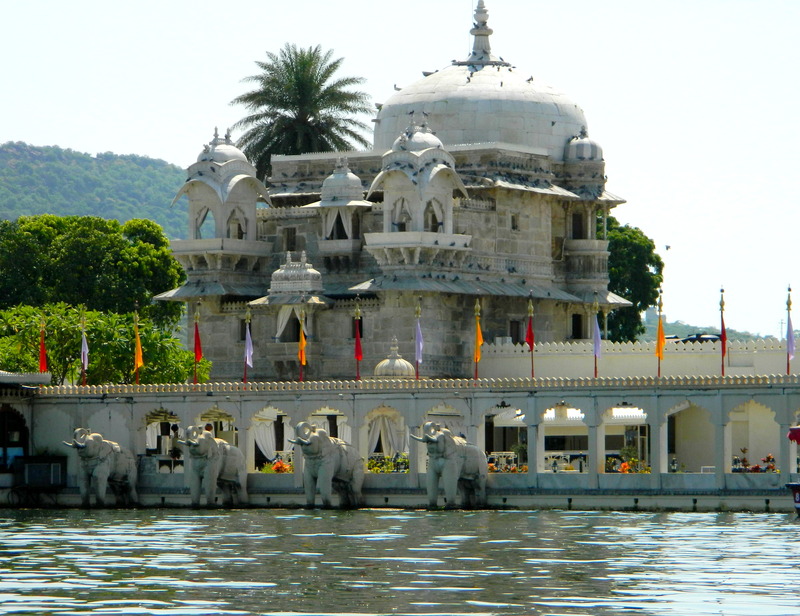 Located in the north of Lake Pichola, this is the second artificial lake in Udaipur. Fateh Sagar Lake houses three small islands – the largest being Nehru Park, second island is also converted into a public park & the third one addresses Udaipur Solar Observatory, which is the best solar observing site in Asia. The islands surrounding the lake are approachable via boat just like in Lake Pichola. There are several options located in proximity to Lake Pichola, depending on the tourist flow the charges might vary. The tariff lies between INR 2,200 – INR 4,000 for a decent room. You can get more bargain on room without amenities like AC, geyser. Almost all of them have open roof top restaurant where you can enjoy candle light dinner with the moon gazing at you in the backdrop of City Palace, the shimmering lake and other lit-up structures. It’s awesome!!! The restaurant person will also arrange for a beer, if you wish to have one. For us travel has always been synonyms to new discoveries, gaining new experiences and insights. Like in Udaipur, we met this artisan who decorates the walls with his paintings and drawings of ethnic art. We met him right outside the City Palace where he was refurbishing the walls with new art. The most amazing fact is that he does the whole part in one go, the symmetry is flawless; RESPECT!!! 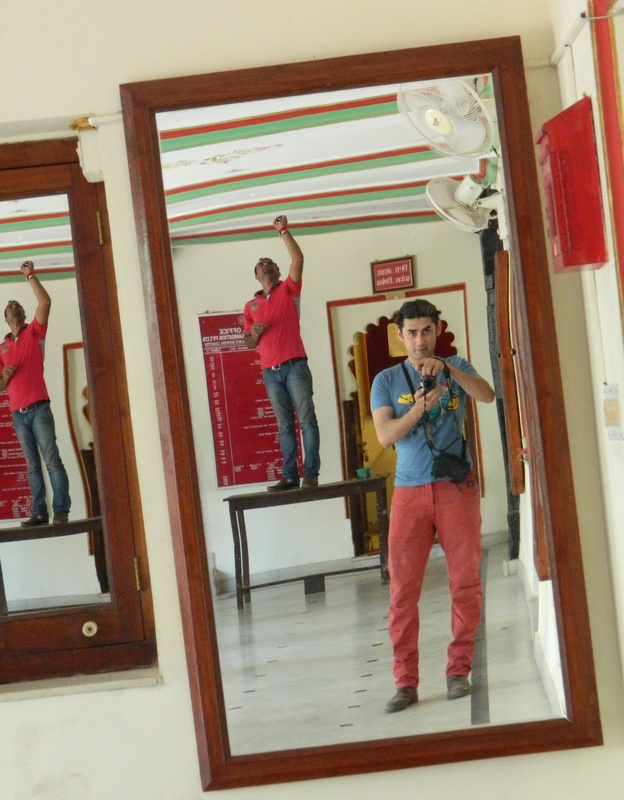 It was great exploring shops in and around Hathi Pol in Udaipur. There were varieties of Sarees, Dress Materials, Skirts, Shoes and accessories. There were shops housing amazing wooden carved stuff including designer tables, storage boxes, and souvenirs at unbelievable prices. We felt like buying the whole place. If you like ethnic and unconventional stuff, then you will certainly enjoy shopping at Udaipur. We covered Udaipur as part of our Jodhpur – Jaisalmer – Udaipur trip, Udaipur is quite popular & hence there are lots of options available including trains, cabs, AC buses. It’s totally connected by rail as well as road. city of lakes is really beautiful ! We will surely visit the suggested destinations. Thanks 🙂 and wish you a Happy New Year !!! 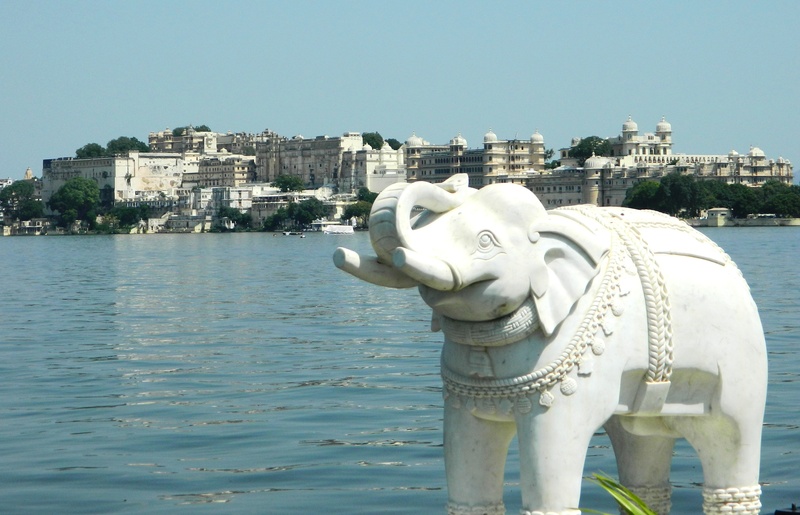 I first learned about Udaipur two years ago from my ex-boss who raved about the city. He showed me images of the palace and the lake, and told me some amazing stories. It seems like a perfect place to go. Btw, just out of curiosity, have you been to the southern India? I saw the list of places you have covered, it’s so exhaustive :). So I believe you are a travel writer and a photographer. Beautiful. Loved the first pic. Wow.Had the virtual tour from your post. Had been to Jaipur, Jodhpur and Jaisalmer. Udaipur still not explored. Thank you ☺️☺️ I’m glad it added a smile and refreshed memories. Do you visit India often!? I agree with the beauty of Udaipur. Was there 2 years ago, and always wish to be there again soon. I remember myself sitting at the restaurant with the view of lake filled with hundreds of people chanting. What a beautiful feeling. And I smile to that feeling. 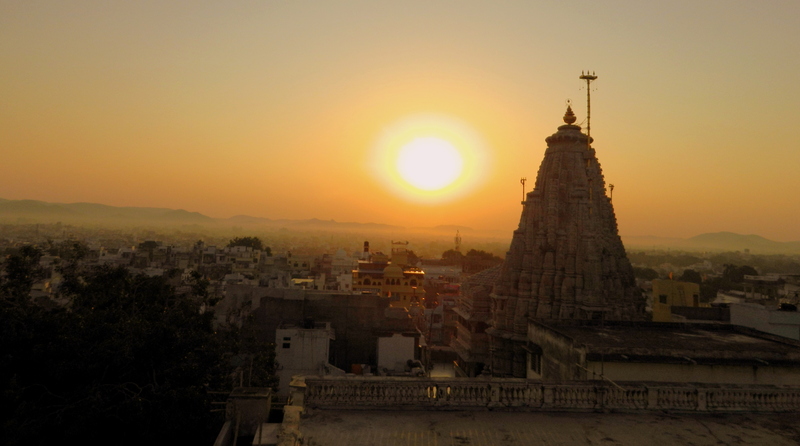 I left my heart in Udaipur..